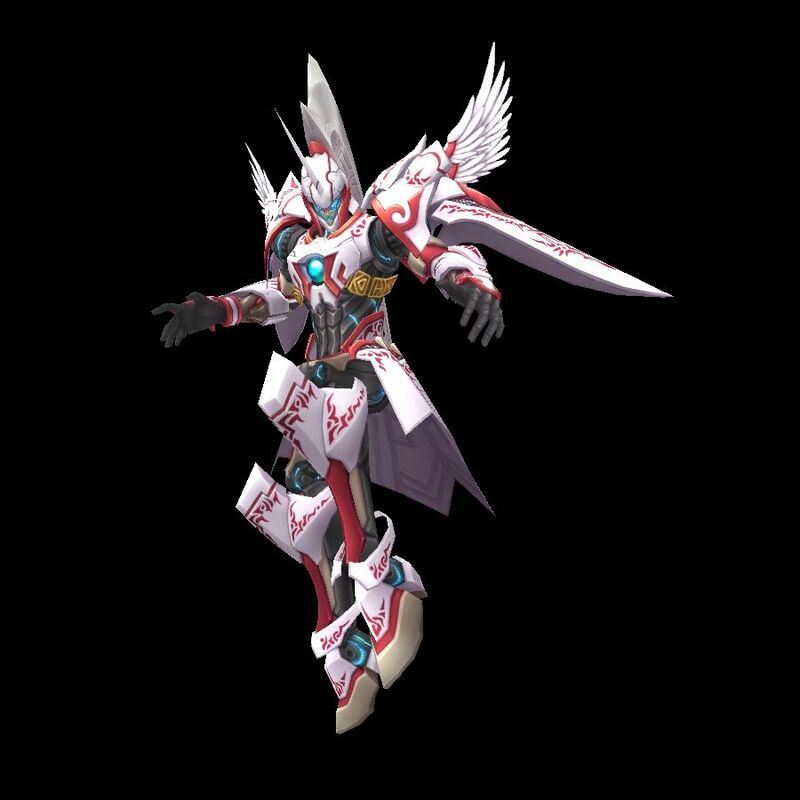 When his body was badly damaged in the war between Pandemonium and the Aura Kingdom, angelic champion Abraxas was given new life in a powerful bio-armor. He aids those who seek victory in Gaia's name, and fights with a heavenly strength and grace. Abraxas launches a heroic assault that deals Holy damage and decreases the enemy's DEF. Abraxas spins into a silver blur, launching a high-speed combo that unloads massive Holy damage on the enemy. This spell confers on party members the eyes of a righteous and indomitable champion, increasing their ACC.